Zarafa is the flagship of Great Plains Conservation – the wider conservation vison of Dereck and Beverly Joubert. 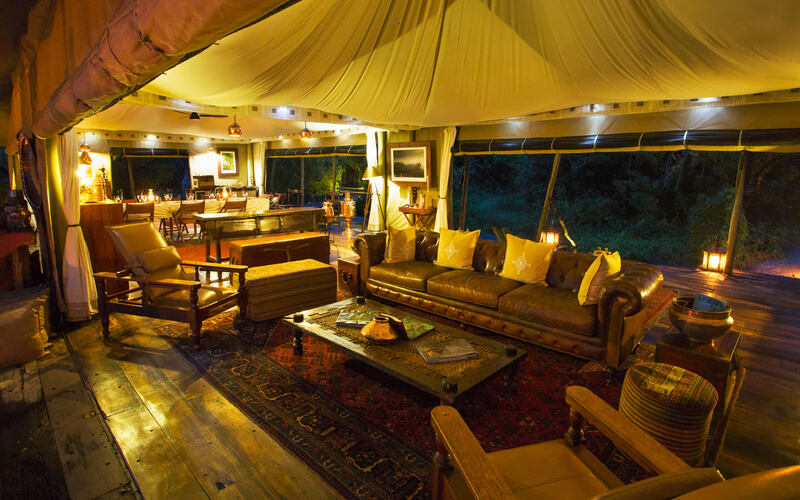 The camp represents a genuine commitment to green ecotourism without any compromise on luxury. A solar field provides electricity, gas for cooking is produced from recycled wet waste and much of the furniture and fittings were constructed from wood that washed up in the wake of the 2005 Tsunami. There are just four superb suites under canvas at Zarafa – all of them on raised decks made from recycled, antique hard wood sleepers. The suites flow seamlessly from a bathroom boasting a secluded outdoor shower – raised but immersed in the wild – through to a bedroom of 19th century opulence decorated in deep brown hardwoods, Arabic maroon carpets, brass fittings and immaculate white linen. 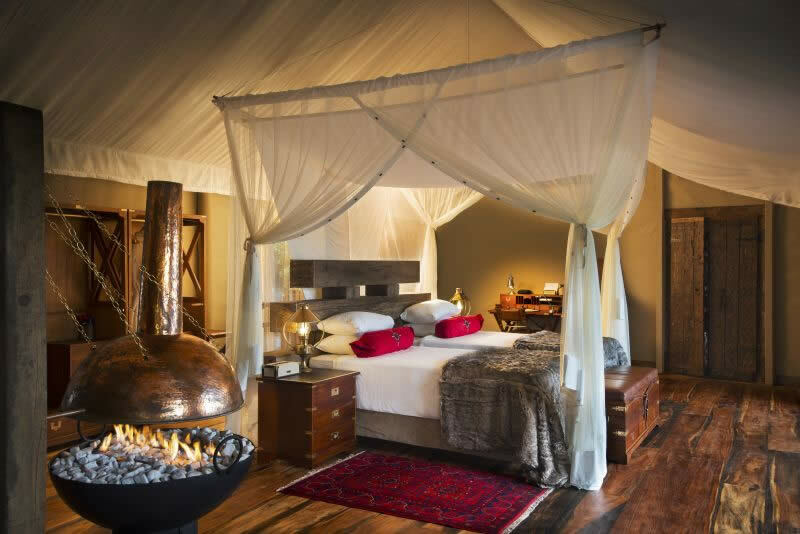 The lounge flows from the bedroom – gloriously appointed with leather sofas and chairs where you can enjoy the warmth of the roaring gas fire on a winter’s night while the sounds of wild Botswana filter through the canvas. 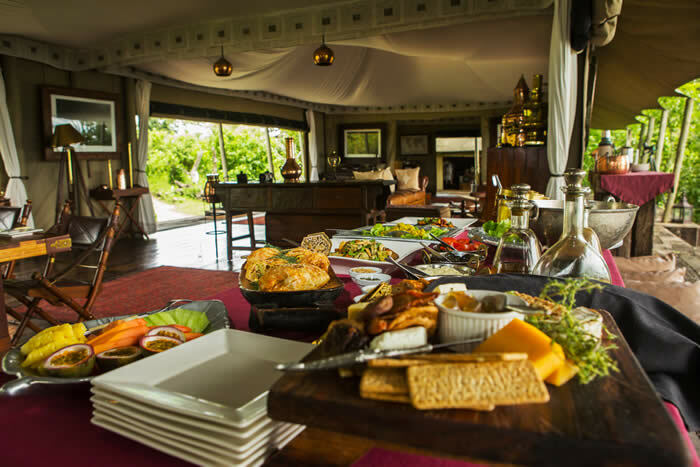 Outside on the spacious deck, you could while away the midday in your private pool while an elephant browses the leaves below and you might like to dine on your deck in the lantern light while the impossible romance of the African night captures your heart. 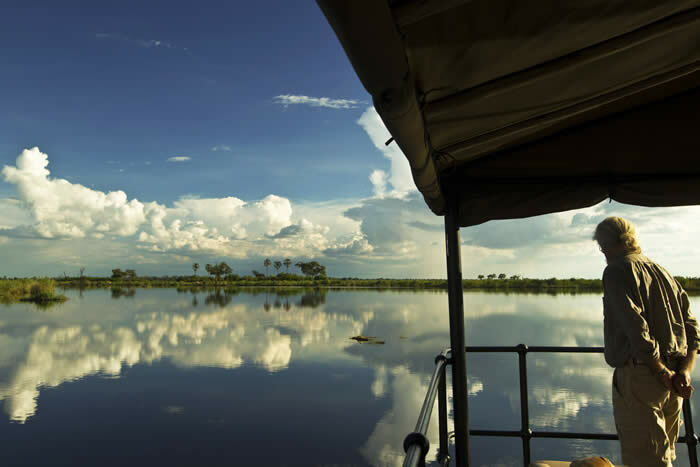 Each suite is also equipped with personal Swarovski binoculars, a powerful star scope and a Canon 5D camera with which to capture the magnificence of Botswana. There is also an open-air gym and an experienced therapist will treat you to a massage in the privacy of your suite. The Selinda Game Reserve is where the world-beating Jouberts have made some of their most enthralling films and when you go out on morning and evening game drives, you travel in the faint dust of their profound legacy. You might be fortunate enough to see the huge lions of Selinda hunting their speciality – hippo; or a cheetah nestled in the grass atop a termite mound, perusing the plains for prey; or maybe even a pack of endangered wild dogs coursing across through the woodland after lechwe, sable, roan or impala. 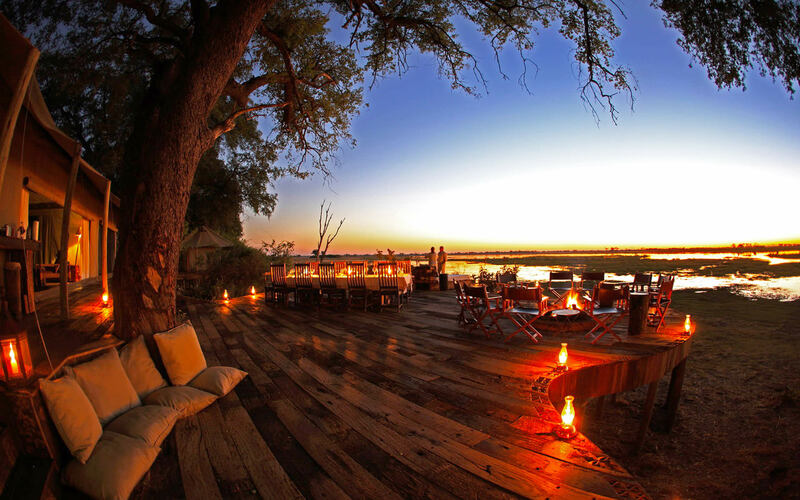 When the sun is settling with the dust on the plains and the guard changes to the African songs of the night, where better to be than floating on the waters of the Zibadianja lagoon, your favourite tipple in hand – a sundowner you will share with the herons, the geese and gently grunting hippos. For on what to look forward too at the majestic camp click here.